The HOPE Add-on-Pack & Alpha set #2 have been released at NDISB. 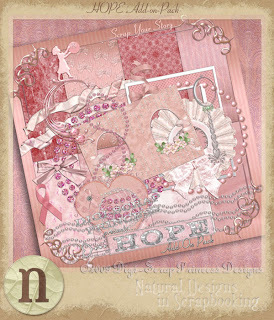 Participate in my Scarp a Courageous Woman Challenge at NDISB before 10/25/2009 & receive this set free. 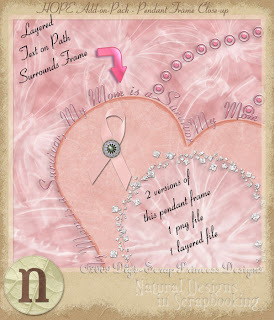 Digital & Hybrid Scrapbook Designer I was a designer for Digital Design Den until it closed in March 2009. 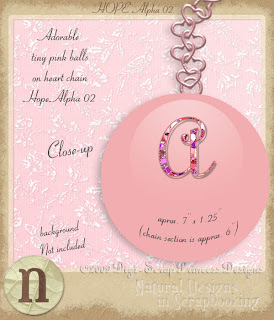 Now I have time to create items to give away on my blog & look forward to sharing with all of you. Artisan Guild - LOVE THIS SITE! !